Manfred Kets de Vries is a Clinical Professor of Leadership Development who holds the Raoul de Vitry d’Avaucourt Chair of Leadership Development at INSEAD. He is the Director of INSEAD’s Global Leadership Centre (IGLC), the Program Director of INSEAD’s top management seminar ‘The Challenge of Leadership: Creating Reflective Leaders’ and of the program ‘Consulting and Coaching for Change: Creating Reflective Change Agents’. He has received the INSEAD’s distinguished teacher award five times. Kets de Vries had also held professorships at McGill University’s Ecole des Hautes Etudes Commerciales in Montreal and the Harvard Business School in Boston and has lectured at management institutions around the world. He is a founding member of the International Society for the Psychoanalytic Study of Organizations. The Financial Times, Le Capital, Wirtschaftswoche, and The Economist have judged Manfred Kets de Vries one of world’s leading thinkers on leadership. He is the author, co-author, or editor of more than thirty books and has published over 350 scientific papers as chapters in books, or as articles. His books and articles have been translated into thirty-one different languages. He is a member of seventeen editorial boards and he has been elected a Fellow of the Academy of Management. As a global consultant, his client portfolio reads like the Fortune 100, and his unique views on the nature of individual and organizational change have made him one of today’s most sought-after business speakers for keynote addresses around the world. Kets de Vries is also the first non-American recipient of the International Leadership Award for “his contributions to the classroom and the board room” by the International Leadership Association (ILA). In 2008 he was one of the six recipients of the International Leadership Lifetime Achievement Award at the International Leadership Association’s 10th conference in Los Angeles for his founding work in the development of leadership as a field and discipline. Manfred Kets de Vries is a consultant on organizational design/transformation and strategic human resource management to leading U.S., Canadian, European, African, and Asian companies. He has worked as an educator and consultant in more than forty countries. In his role as a consultant, he is also the chairman of the Kets de Vries Institute (KDVI), a boutique leadership development consulting firm. Manfred Kets de Vries is a leadership and organisational behaviour expert who straddles the two worlds of management and psychoanalysis. He has pioneered the use of psychoanalysis to understand what happens when executives go off the rails. The Neurotic Organisation, the book he co-wrote with Danny Miller in 1984, examined the relationship between personality, leadership, corporate culture and strategy. This set the tone for his later books: Organisations on the Couch (1991) and Struggling with the Demon (2001). Nowadays, his research interests focus more on what makes for healthy organizations employing high-performance teams. Many CEOs are obsessive and tend towards narcissism. But a certain amount of self-love and self-belief is necessary to prosper in corporate life. Kets de Vries calls this constructive narcissism. 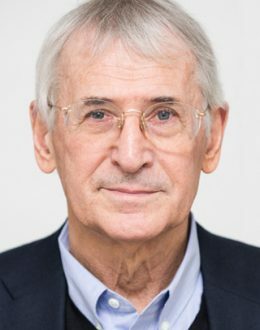 Manfred Kets de Vries’principal interest lies in the interface between psychoanalysis/dynamic psychiatry and management. The Queen of the Netherlands made him an Officer in the Order of Oranje Nassau. He was the first fly fisherman in Outer Mongolia and is a member of New York’s Explorers Club. In his spare time he can be found in the rainforests or savannas of Central Africa, the Siberian taiga, the Pamir and Altai Mountains, Arnhemland, or within the Arctic Circle.